Why Do (or Don’t) We Eat Healthy Food? The minds behind Sullivan Higdon & Sink’s (SHS) FoodThink are at it again, and this time they’re taking a good look at the how and why of eating healthy. Their new white paper, “Our Appetite for Healthy Eating,” covers everything from attitudes about healthy foods to our attempts to eat right. 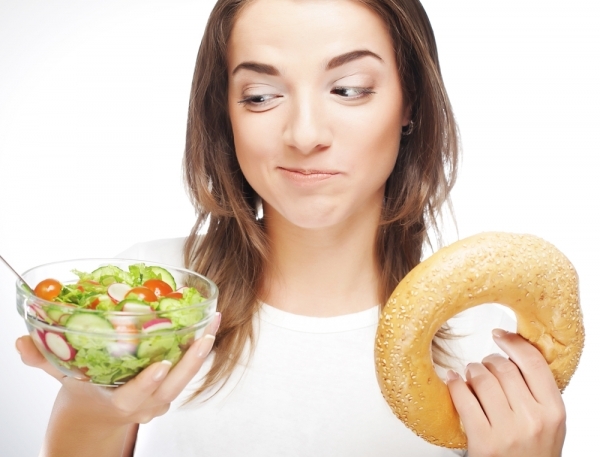 According to research conducted by SHS, 61 percent of Americans make the commitment to eat healthy. Of course, there’s a lot of variation in that claim. From “Our Appetite for Healthy Eating”: Organic shoppers, for instance, are 31-percent more likely to say they’re committed to healthy eating. On the other hand, those who believe their cooking skills to be sub-par are 13-percent less likely to say they’re committed to healthy eating. Cost is also big factor when it comes to deciding what to purchase at the grocery store. We know which foods are healthier, but often we go for the cheaper option instead. Research shows 60 percent of consumers say cost has prevented them from eating more healthfully, and that’s just the average shopper. The figure gets worse for younger consumers and those with lower incomes. For those who are on the fence about making healthy food purchasing choices, marketing plays a key role. As stated in the paper, three out of four consumers pay attention to claims on food packaging. Consumers have also said they identify most with claims using positive language. Though eating healthy can be difficult to manage due to cost and other influences, almost a third of consumers admit to bragging about their healthy eating habits. The groups most likely to brag about healthy eating habits: organic shoppers, moms, and younger consumers. For all those out there who brag about their healthy choices, there are even more feeling guilty about their eating habits. SHS found that 61 percent of Americans feel guilty about eating unhealthy food. About a quarter of Americans also lie about their eating habits, due in part to guilt. Consumers may lie about their food, but they’re also sneaky about their eating habits. A quarter of consumers admit to ordering healthy food at restaurants, but then sneaking unhealthy food from their friends and families. About the same number of people admit to hiding healthy food in dishes they make their kids or spouse. A healthy lifestyle may be daunting, but it’s certainly worth the challenges. Keep at it, and soon enough those challenges won’t seem so bad. Need a Dose of Willpower? Use Your Imagination! Liz Simmons is a fun-loving, stubbornly positive person who will try just about anything once. Her competitive spirit rarely says no to sand volleyball, but gets chilled out by practicing yoga. She's an avid reader whose love of writing led her to a bachelor's degree in communication from Wichita State University.